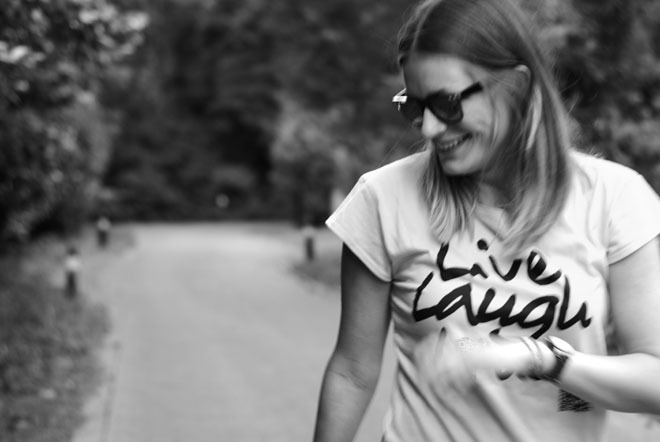 Addmyberry, a new T-shirt brand with a social media side to it. Every T-shirt has it's own personal QR code, and when you scan this code you'll get directed to the 'secret' link the T-shirt hides! Some of the links are entertaining, some informative and some even lead to famous blogs. Exiting isn't it? 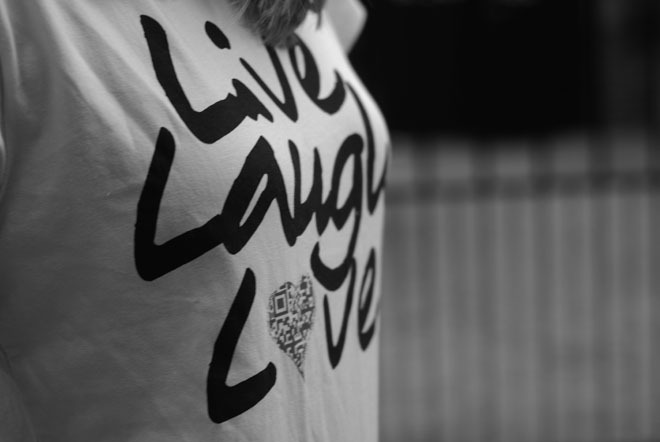 I chose the live, laugh, love one because those verbs truly are three of the most important verbs of life! 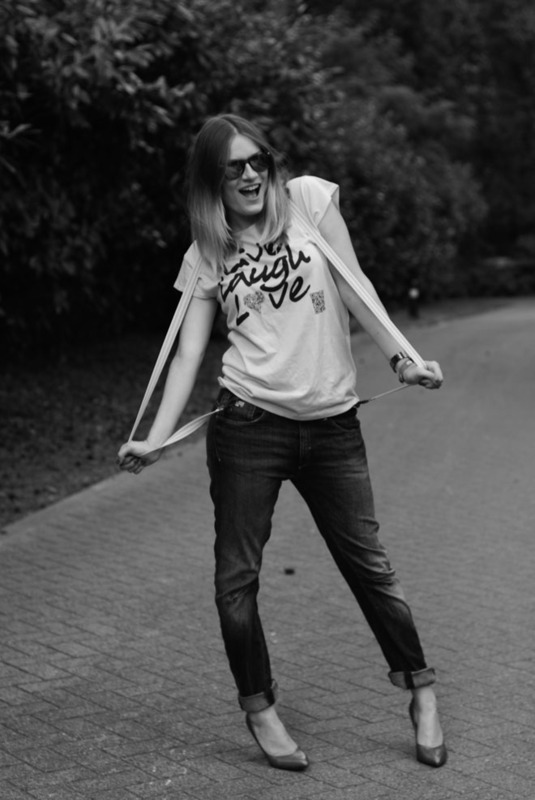 You can buy the Addmyberry Tees at Must have by Masons in Knokke and Blue Rose in Wilrijk. And here is some awesome news: two lucky readers can win one of these amazing Addmyberry T shirts! (check their website and Facebook page for all the different models). To enter this giveaway you have to go through these four steps. 1. Like the Addmyberry facebookpage. 2. 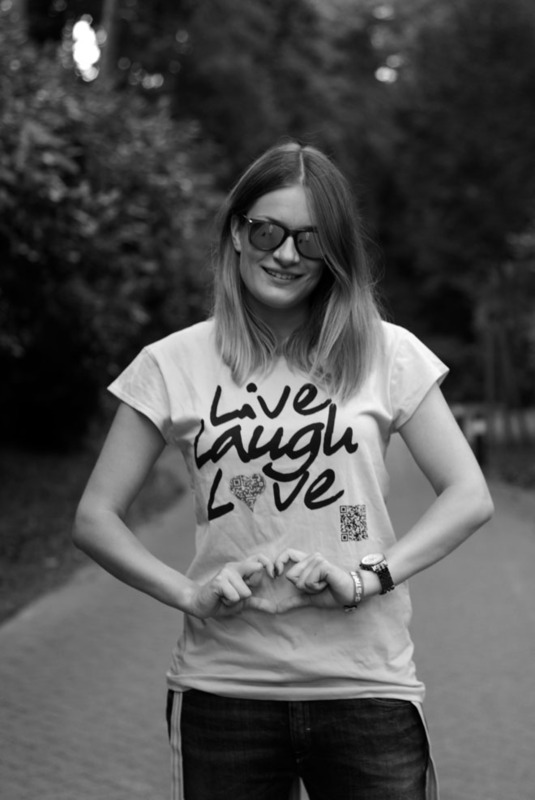 Follow Anoukmeetsfashion on blogloving or Google friend connect. 3. Share this giveaway on Facebook, Twitter or your own blog. 4. Leave me a comment with your e-mail address so i can contact you if you are the happy winner! 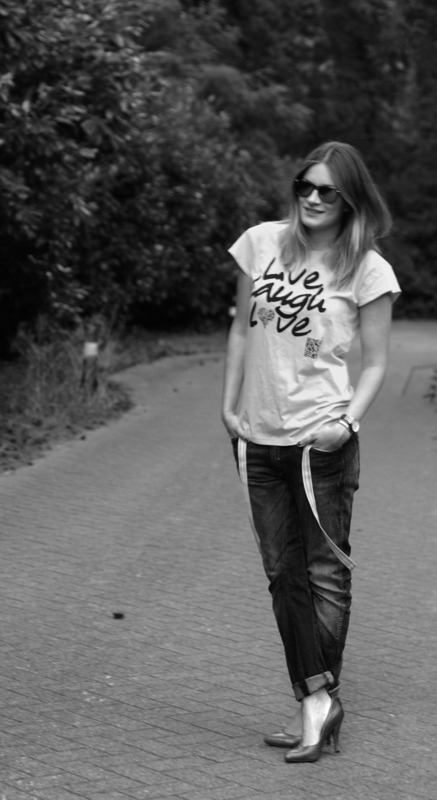 T-shirt - Addmyberry / Jeans - G-Star / Pumps - Noe. 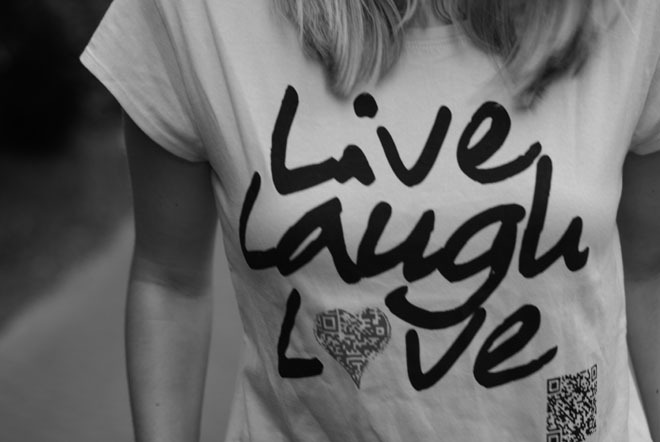 Echt leuke T-shirt, ik doe zeker mee!